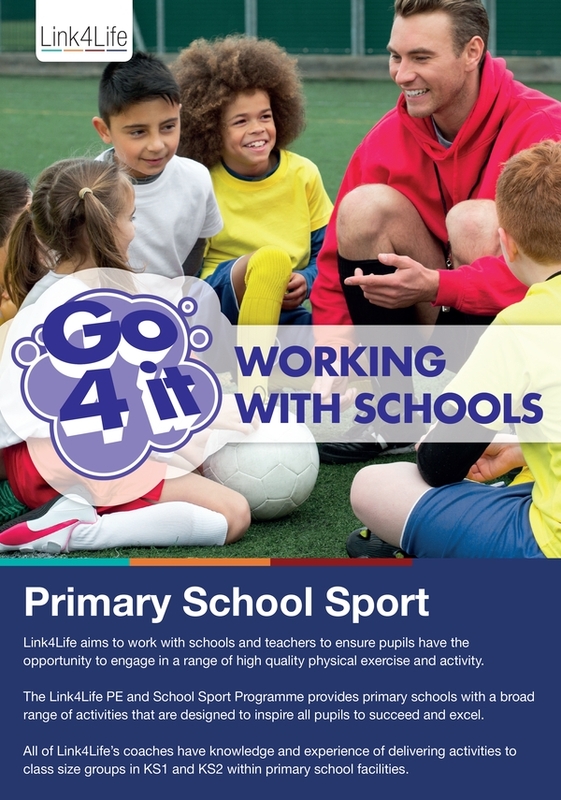 Link4Life aims to work with schools and teachers to ensure pupils have the opportunity to engage in a range of high quality physical exercise and activity. The Link4Life PE and School Sport Programme provides primary schools with a broad range of activities that are designed to inspire all pupils to succeed and excel. All of Link4Life’s coaches have knowledge and experience of delivering activities to class size groups in KS1 and KS2 within primary school facilities. The Link4Life School Sport and PE Programme Manager will arrange a personal meeting with your school to ensure an effective programme is in place which meets your needs. 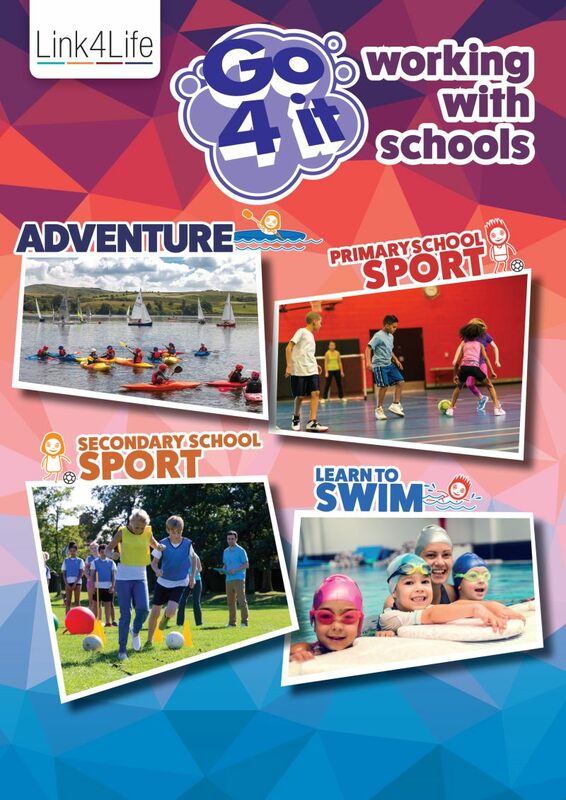 Link4Life will provide a PE and School Sport specialist qualified in a minimum of one Level 2 National Governing Body Sport and a Level 3 in Supporting PE and School Sport. The PE specialist in the first instance will deliver sport and physical activity during curricular and extra-curricular periods as agreed. All PE specialists are vetted through the DBS (Disclosure and Barring Service) and are trained and experienced with regard to safeguarding and risk assessment procedures. 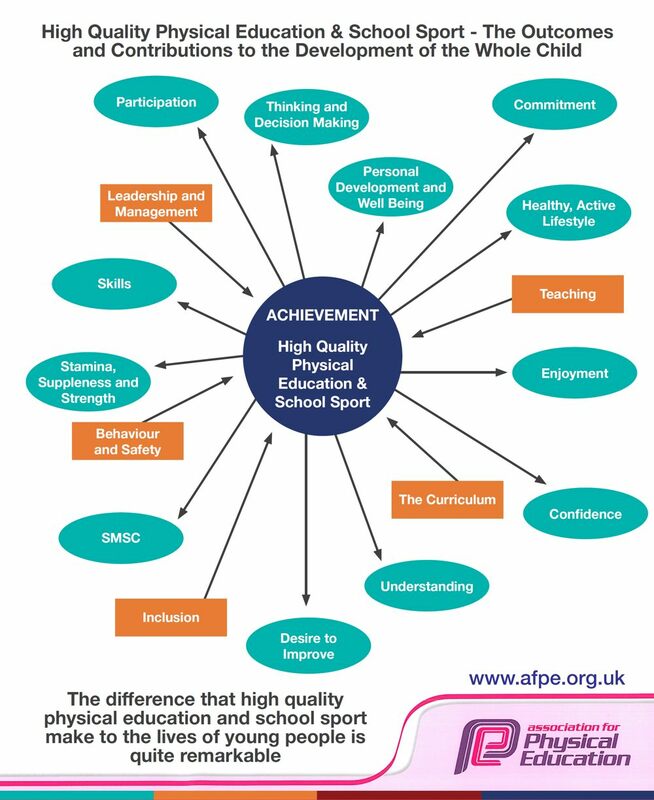 All three programmes support schools in maximizing the effectiveness of the Sport Premium funding. A network of continuous support for subject leaders to receive advice on all PE and sport matters, including National Government policy on the ‘Sport Premium’ and National Curriculum. Primary PE advice line, including support for Ofsted inspection. Knowledge of funding opportunities in PE and Sport and officer assistance with bid writing. Primary School PE specialist to deliver PE and Sport to either KS1 or KS2 for two full days per academic year. Choice of Breakfast, Lunch or After School Club on both days at no extra cost. Assessment of pupils at the start and end of the scheme of work for each year group. Knowledge of funding opportunities in PE and Sport. Primary School PE specialist to deliver PE and Sport to either KS1 or KS2 for one full day per academic year. Choice of Breakfast, Lunch or After School Club on the day at no extra cost. Primary School PE specialist to deliver PE and Sport to either KS1 or KS2 for one afternoon per academic year.